Mozilla again rises to compete with Google Chrome browser On Tuesday, the new version of the Firefox browser has opened the Firefox Quantum. Mozilla has made a lot of changes to the browser, trying to get them back from those who have begun using Chrome's Google Chrome. The 57th edition of open source or open browser works much faster than before. The speed of the 57th version doubled more than the 52nd version that was released in March. Speedometer2.0 Benchmark software tested speed and found this result. Many days before Google and Mozilla are fighting the browser performance. But on the basis of performance, many people have started using Chrome and using Firefox. Many people think that the new version of Firefox will excel Google Chrome. Market research firm Gartner analyst David Smith said Mozilla's goal is to keep the web open and competitive for everyone. Examples of Firefox. David advised users to use multiple modern browsers. In 2004, Mozilla unveiled Firefox 1.0, and Microsoft's Internet Explorer Browser hijacked Mozilla. But then Mozilla's fate began to change. Google Chrome is the most popular browser in the browser. Google has completely removed Mozilla for phone and tablet Mozilla has been working with Firefox Quantum for last year to compete with Chrome. Mark Mayo, senior vice president of Mozilla's Firefox division, said, "We have dragged us up and in some cases have exceeded Chrome. This year the performance of Firefox doubled. Firefox will be running at twice the speed in 2018. Market analysts say, it will be difficult to persuade people to change the browser even if Firefox speed increases. Chrome is currently in use with browsers. 55 percent of users are using Chrome. Apple Safari Browser using 15 percent. 6 percent of users are using Firefox. Now the importance of updating the new version of Firefox users is important. Mozilla authorities are somewhat optimistic. Because the version of the developer version of Firefox has been released in September, the user doubled. They expect the Firefox users to grow in the next few months. Currently, around 100 million users are using Firefox. Reports of news agency Reuters reported that Mozilla has made several changes to the Firefox browser. Mozilla has replaced Google as the default search engine for some regions including the United States, Mozilla has replaced Google. The company canceled the contract with Yahoo! Verizon Communications. Although Google authorities confirmed to work with Mozilla, they did not agree to comment on the matter. Mozilla is keeping Google as the default search engine in the US, Canada, Hong Kong, Taiwan's desktop and mobile phones. 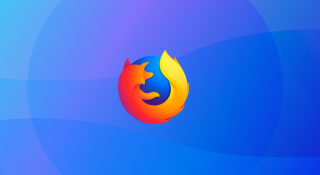 Mozilla's chief business officer Denile Dixon said, "We have decided to use Google search engine considering which works for our brand, which will provide better web search services, and so on. Oath and Verizon have the opportunity to work on different topics outside of our search. Mozilla authorities say their new browser is now 30 percent lighter than Google Chrome and costs less power on computers. Until 2014 Google was the default search engine in Firefox. Since then Google has only kept the default search in Europe, but in other regions Firefox uses Yahoo, Yandex and Baidu. Yahoo! 's former chief executive, Marissa Mayer, signed a five year contract with Mozilla in 2014. Since then, Google and Mozilla have started providing competition. Since then, the use of Mozilla in the US market has increased to 60 percent. Mozilla, Apple and Microsoft's browser are fighting each other. In 2015, the Yahoo Authority gave Mozilla $ 375 million US dollars. Mozilla was supposed to pay a similar amount until year 2019. Yahoo and Google authorities show results, sell ads, and collect valuable user information. The amount of money Google will pay to Mozilla is still not known. I always use Google Chrome for maintain my website Answers Mode.